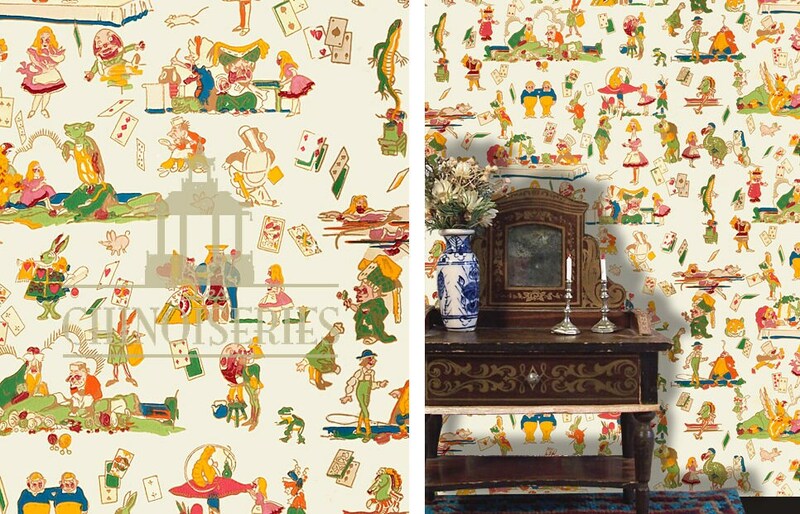 Alice in Wonderland Commercial Wallpaper created especially for your dollhouse. Alice. Tweedle Dum. Tweedle Dee. Humpty Dumpty. Rabbit. Mad hatter.